Recent news in the Linux desktop community recall an interesting time in Plasma's history: Release 4.1 in 2008, Plasma's second release ever, that time we (in)famously abandoned desktop icons (sneak preview: they came back). Of course we never really abandoned them. Instead, in 4.1 we initially debuted the Folder View technology, which powers most of the ways to browse file locations on a Plasma desktop. Folder View gives you folder widgets on the desktop, folder popups on your panels - and yes, desktop icons, which always remained a supported option. An option we, crucially, did decide to tick default-off at the time. Instead we chose to place a folder widget on the default desktop, in part to reinforce the then-new widget-oriented ways of doing things in Plasma, things older KDE desktops just couldn't do. A telling sign in hindsight, many distributions reneged on our decision and turned icons on for their users anyway. And yet we had decided to throw the switch upstream; what next? A period of research and experimentation followed. With all that newly freed-up screen real estate and a new modular architecture, we looked into alternatives for what a device homescreen could be. The PC during this time was in a mood to diversify as well, with new form factors popping up in stores. Some of our experiments took off - the Search and Launch interface we debuted alongside the Plasma Netbook spin in 4.5 directly inspired the popular Application Dashboard fullscreen overlay we introduced in Plasma 5.4. Others, like the Newspaper view, failed to find much of an audience. Ultimately, though this period was productive in many ways, we didn't hit upon a clearly-better new homescreen. Elsewhere meanwhile, on a parallel track, the icon homescreen UI metaphor unexpectedly bounced back and grew stronger. Touchscreen handsets introduced a whole new generation of computer users to - essentially - desktop icons. In the following years we saw user numbers and familiarity with homescreen icons increase, not decrease. During the Plasma 5.10 dev cycle, we did a lot of polish work on the desktop icons experience. We then decided that it was time to stop hiding desktop icons support behind a config option: All things considered, the previous default was just not serving the majority of our users well. It had to change. We still don't place any icons on the desktop by default. (Many distributions do - but they always did for all that time.) Those who enjoy the calm and tranquility of an empty desktop or don't want icons to get in the way of widgets were not impacted by this move. But drop a file or add an app to the desktop, and you now get an icon again, with full support for all of the powerful features KDE's desktops have always offered when dealing in files and links. For the many users who rely on desktop icons, this is a welcome reprieve from having to fiddle around post-install. 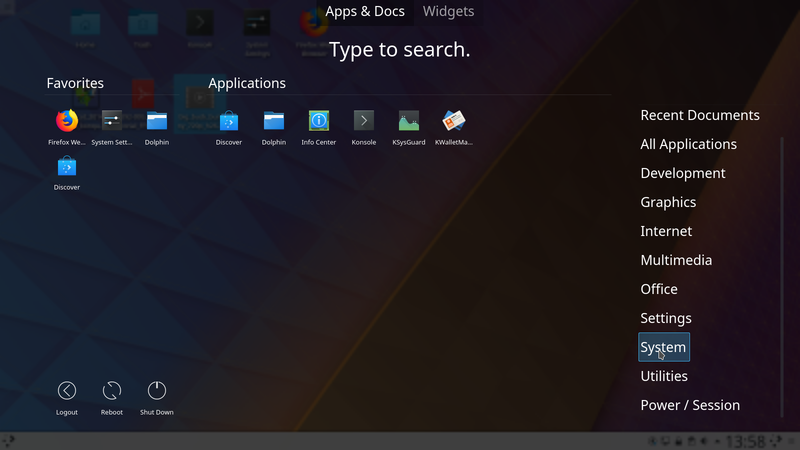 In the upcoming Plasma 5.12 LTS release, desktop icons are getting even better. We've done a truckload of work on improving the experience with multiple monitors, across which icons can be moved freely again, along with gracefully handling monitor hot plug/unplug. Performance and latency improvements, the key theme to 5.12 in general, have continued where 5.10+ left off, with the desktop reflecting file operations now faster than before. We've worked though many of the most-reported feature requests and pain points for desktop icons throughout 2017, but we're not done yet. Folder View development continues in 2018 with more outstanding user requests on the horizon, so feel free to get in touch. Check out the beta now and let us know what else you want out of desktop icons after 5.12! Yeah ! I'm delighted by all those improvements ! Personally, I'm a fan of using multiple Folder View widgets to watch downloads and a couple of useful folders for instance, but most users expect a regular desktop. KDE's new philosophy, simple by default, powerful when needed, really makes sense ! Thank you again so much for your work. 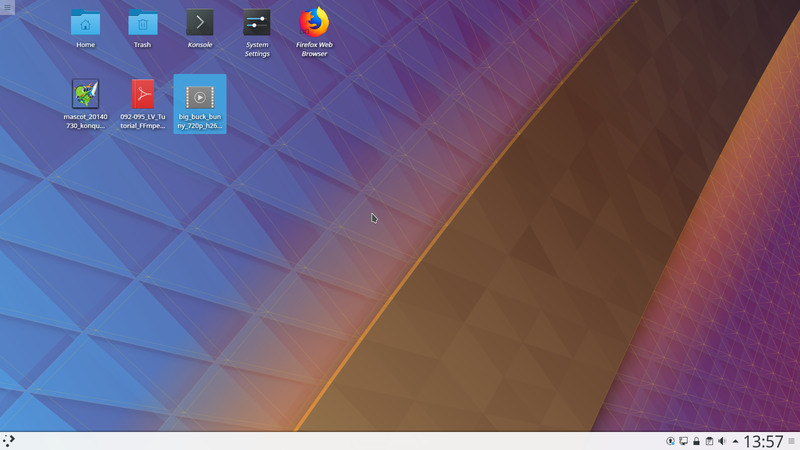 I installed Neon on several "joe users'" PCs and they are delighted :-) Personally, I'm a user from the end of the 90s and I'm very very positive by KDE's current philosophy (LTS releases, focuses etc.). > TW, I guess the former way of using the desktop (pre-desktop view) might be less supported now ? For instance, I noticed that (using KDE Neon) when dropping a picture on a desktop, I would not be offered to add a picture frame anymore (I have the other choices though). This is still supported! In fact, we made it better: Prior to 5.10, if you were using desktop icons, you didn't get widget suggestions on drop, only file actions (Copy/Move/Link). Since 5.10, you get both file actions and widget suggestions. If you disable desktop icons, only widget suggestions remain. It's an extra bit of integration we were missing before. Thank you for supporting icons on desktop. Apps messing with desktop icons ? I re-read your post and thought about the following use case : frequently, when playing games through WINE (or older games through Steam / GoG) the game sets a lower resolution than the desktop one. When getting back to the desktop, the icons & plasmoids are all messed up. Yup, we need to make this better still! The work we did for multi-monitoring in 5.12 can put on the right path there (it adds infrastructure to remember positions across monitor re-plugs, which is a lot like a resolution change). Did this got some traction and is it progressing? Would be really nice, either this replug/unplug connected also to different resolutions, or scaling down icons in low resolutions, so the total virtual space would be same to the max res supported, unless user would modify icon size somewhere in settings. Then if some old game does 640x480, the icons wouldn't move, they would just look like garbage, which is no issue while the game is fullscreen, any way. Should I open bug for it, or is there some already? Thank you. It's something we've been discussing again just recently actually, and there's a workable approach in our minds. Might hack on it soon.